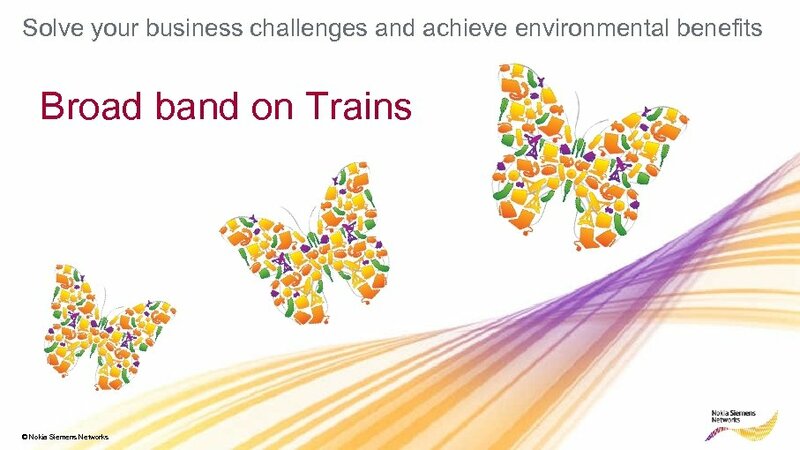 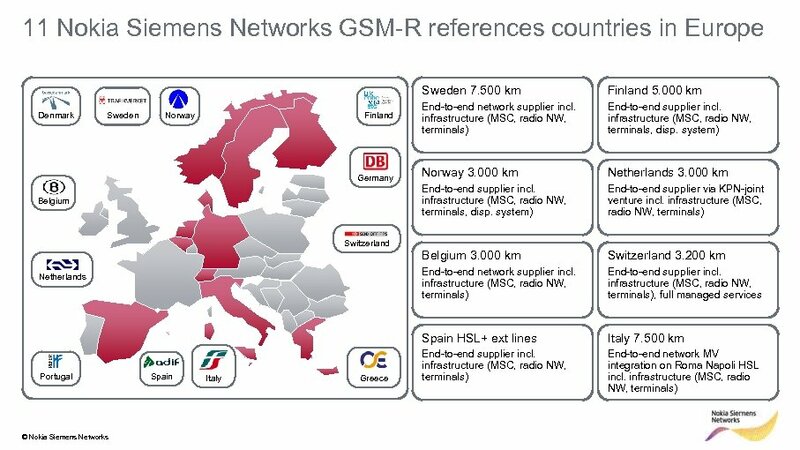 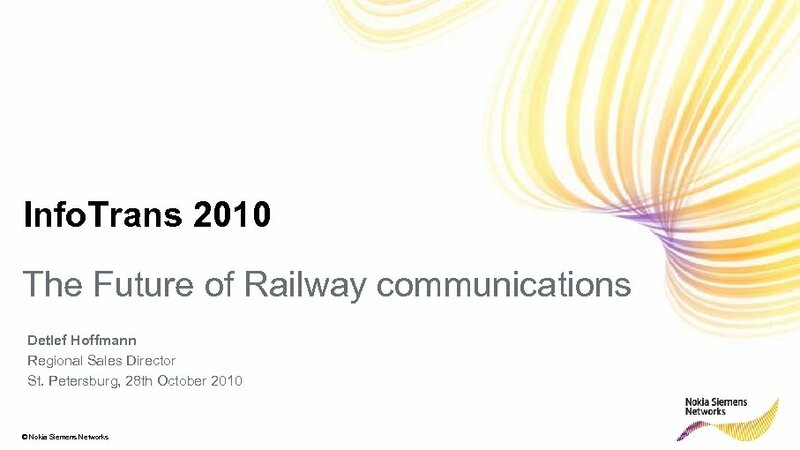 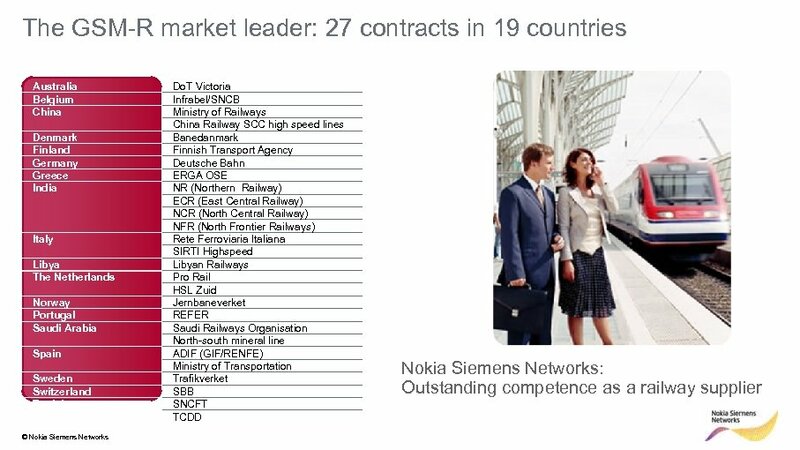 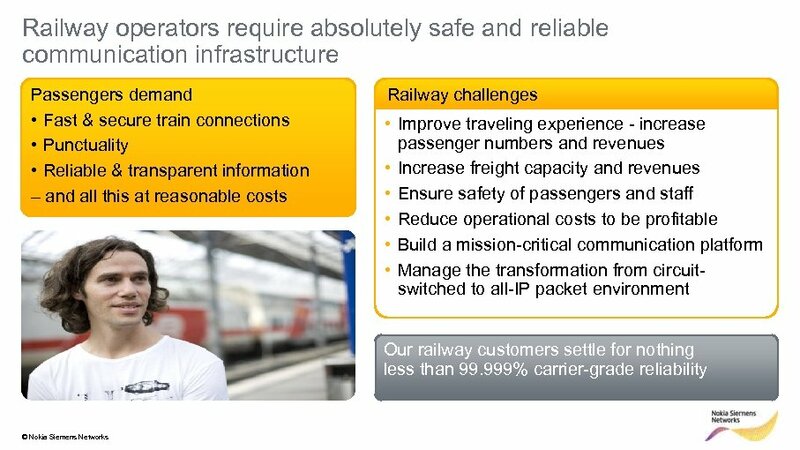 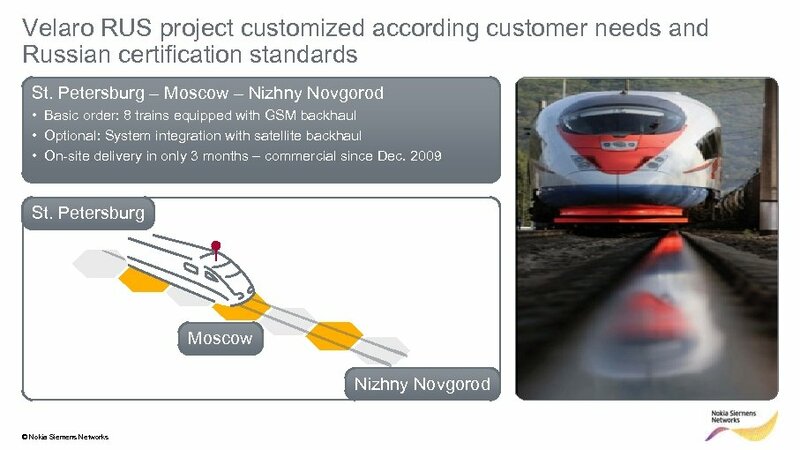 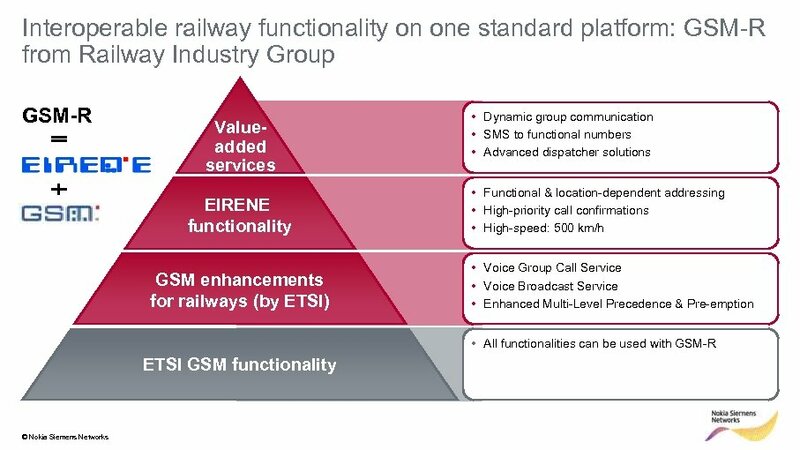 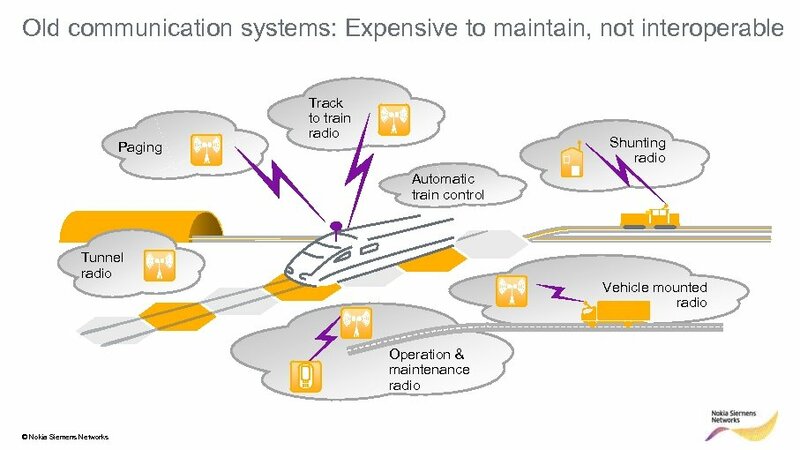 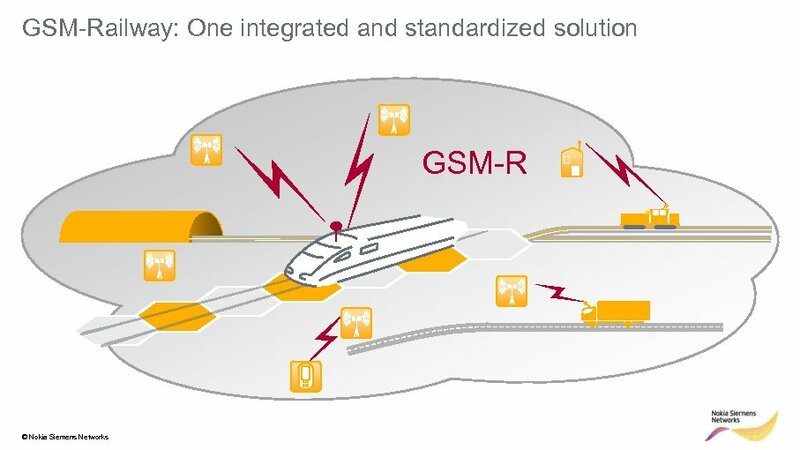 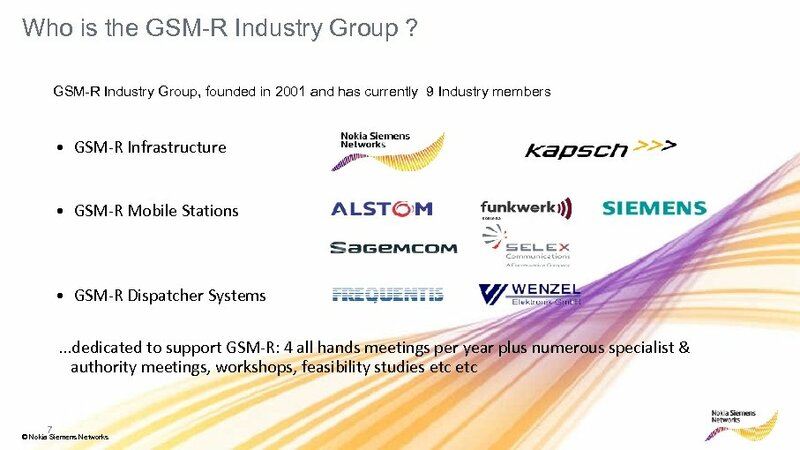 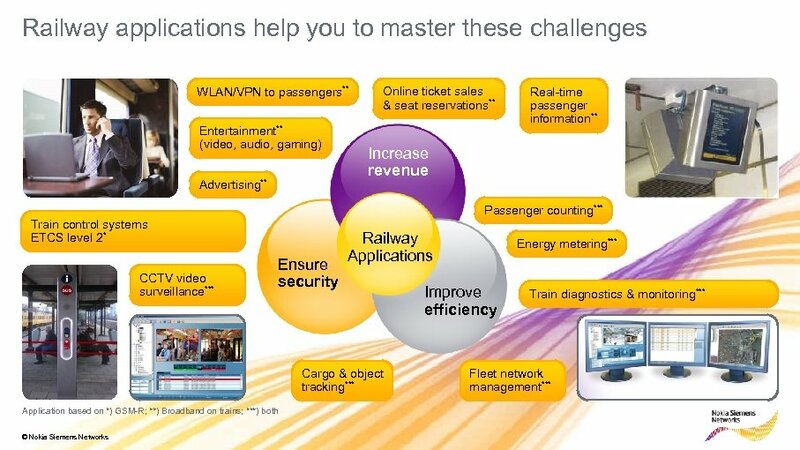 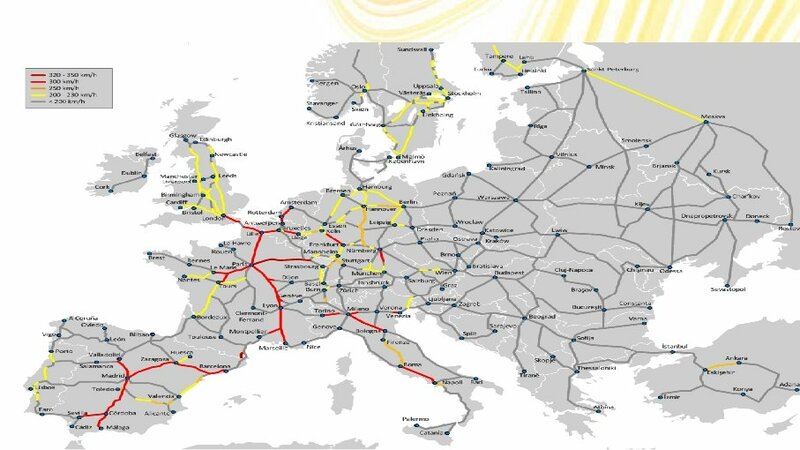 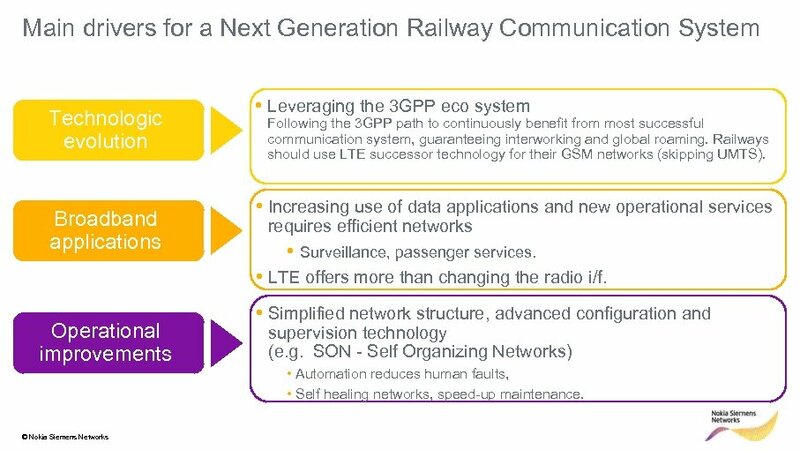 Main drivers for a Next Generation Railway Communication System Technologic evolution Broadband applications • Leveraging the 3 GPP eco system Following the 3 GPP path to continuously benefit from most successful communication system, guaranteeing interworking and global roaming. 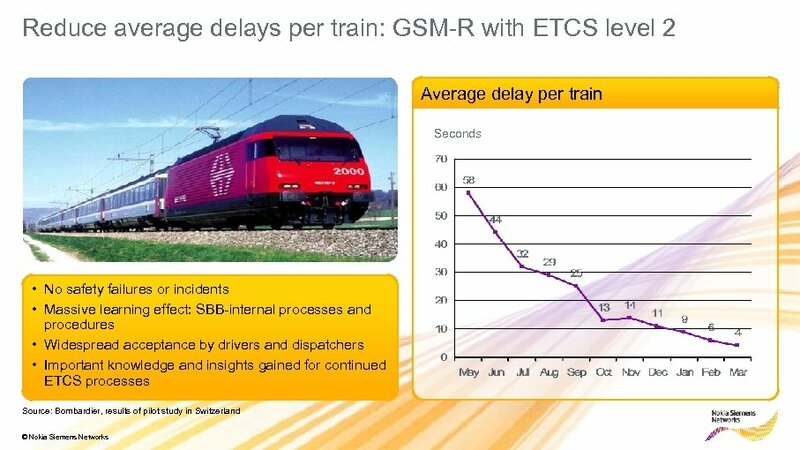 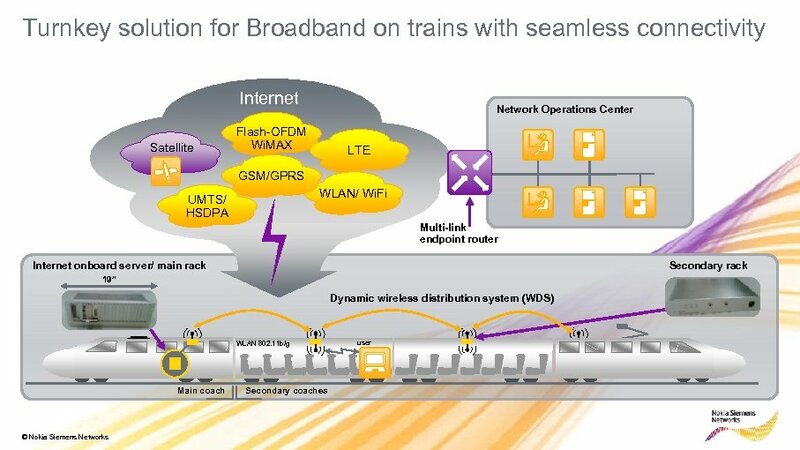 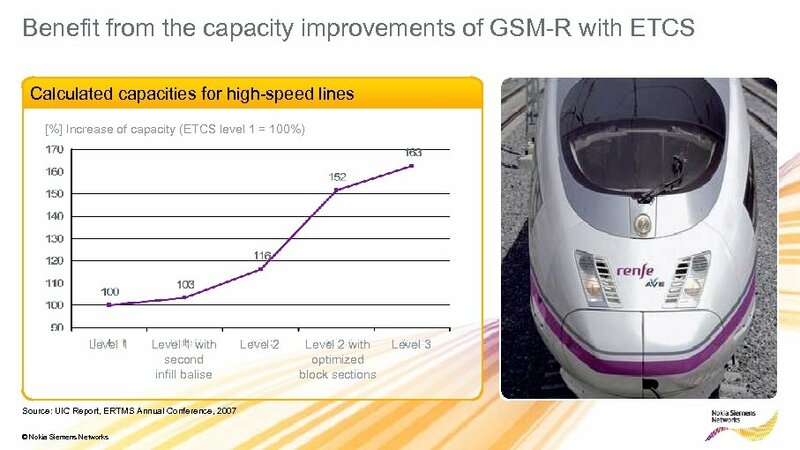 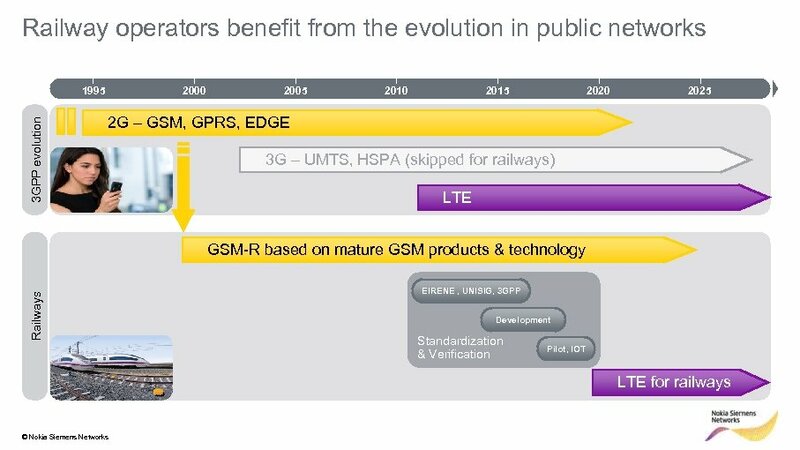 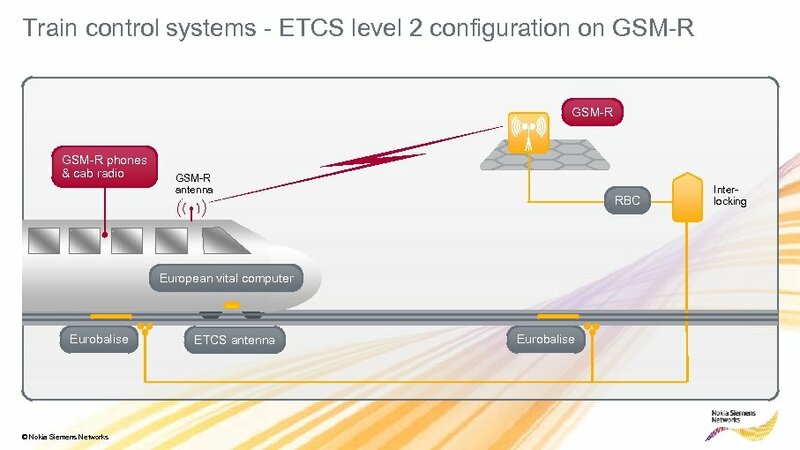 Railways should use LTE successor technology for their GSM networks (skipping UMTS). 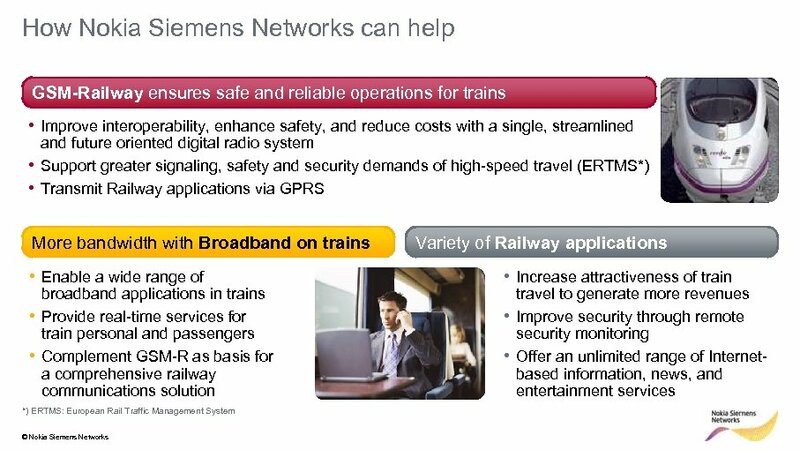 • Increasing use of data applications and new operational services requires efficient networks • Surveillance, passenger services. 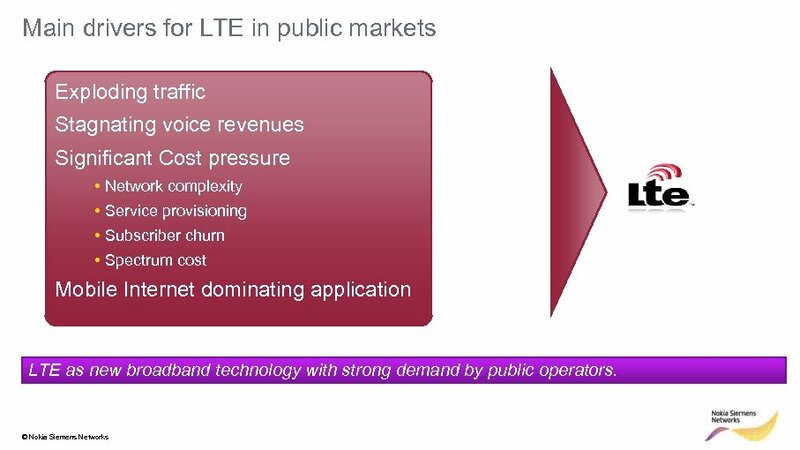 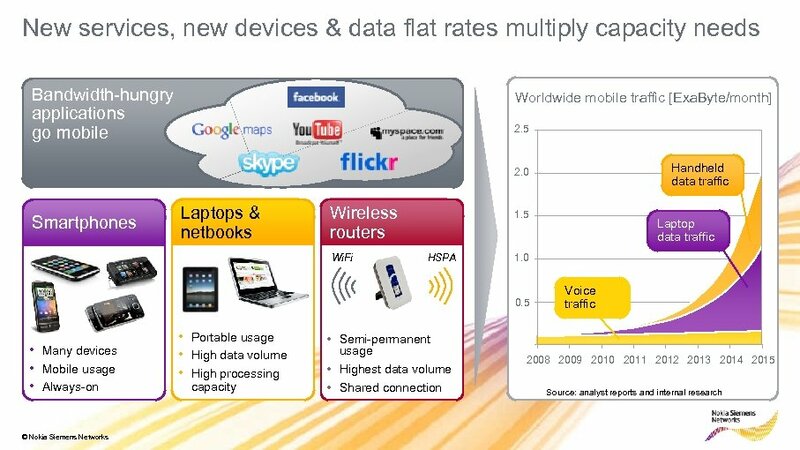 • LTE offers more than changing the radio i/f. 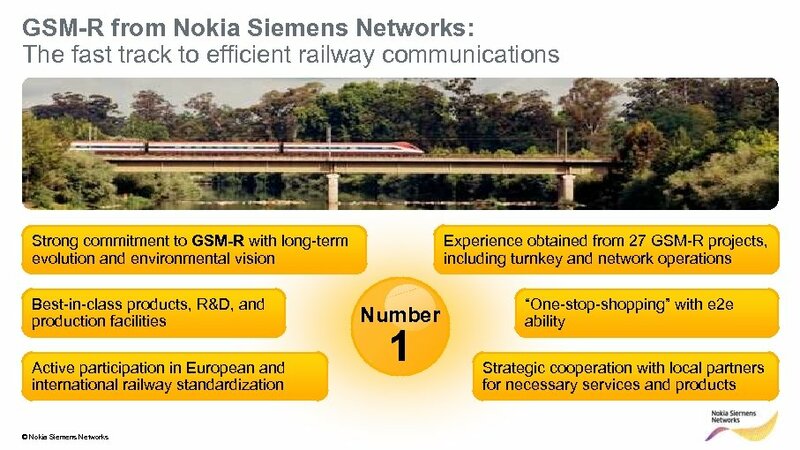 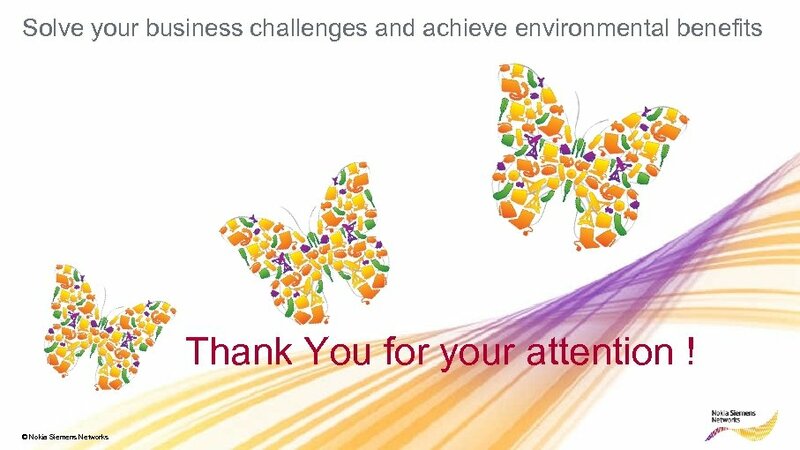 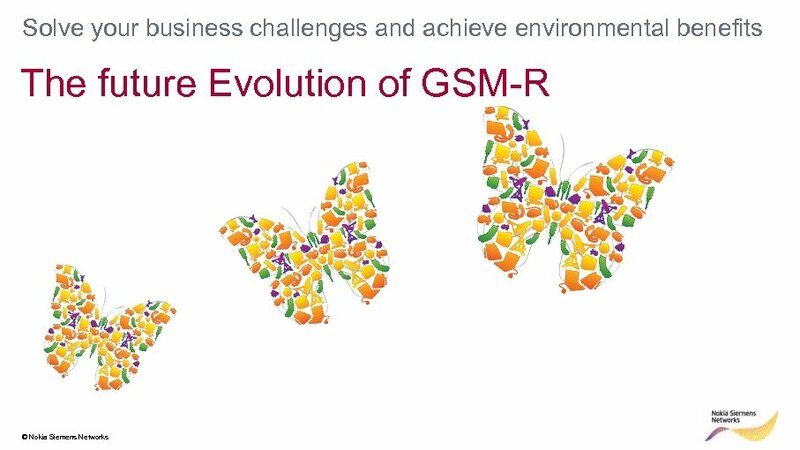 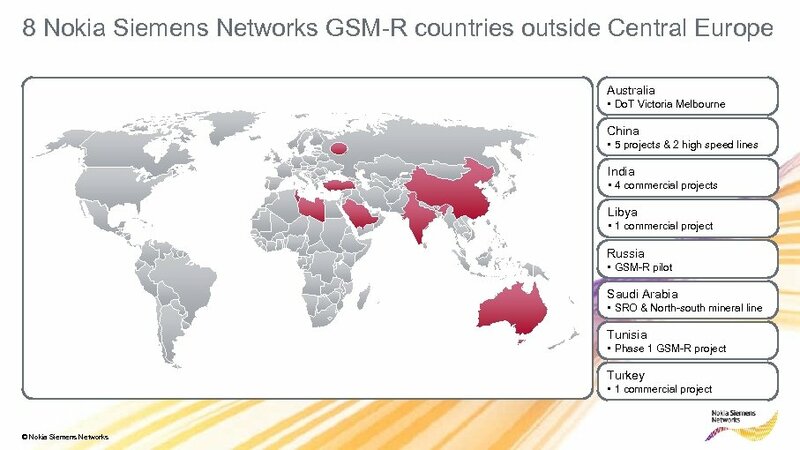 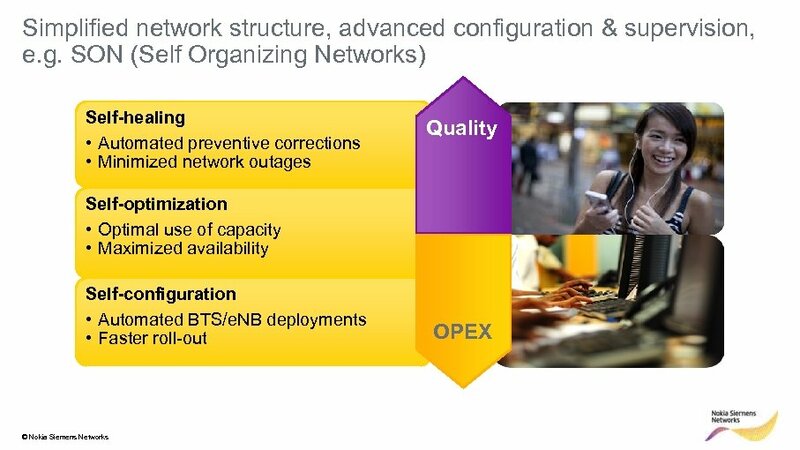 Operational improvements © Nokia Siemens Networks • Simplified network structure, advanced configuration and supervision technology (e. g. SON - Self Organizing Networks) • Automation reduces human faults, • Self healing networks, speed-up maintenance.